I realize that it seems like NASCAR Silly Season has been about the only thing I’ve been writing about in this space as of late. Okay, so maybe Silly Season is the ONLY thing I’ve been discussing here lately. Maybe that’s because so much has been going on in regards to it, and I’ve been trying to sort things out and make guesses as to who will be where when the calendar changes over to 2014. I thought I pretty much had this whole Silly Season nipped in the bud until yesterday. 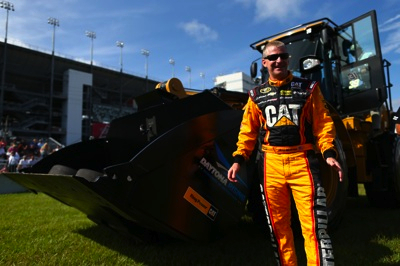 Then something happened that I really wasn’t expecting — an announcement that Jeff Burton wouldn’t be driving the No. 31 over at Richard Childress Racing next year. Well, that kind of changes things, now, doesn’t it? Other official announcements have been made recently that I’ve already discussed here or, at least pretty much, had figured out. Those moves include: Kevin Harvick to Stewart-Haas Racing (that announcement seems like ancient history now), Kurt Busch to a fourth Stewart-Haas team, Ryan Newman displaced by Harvick’s arrival at RCR, Brian Vickers full-time in the No. 55 at Michael Waltrip Racing, and A.J. Allmendinger in the No. 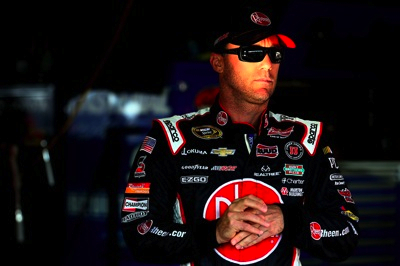 47 at JTG Daugherty Racing full-time next year. 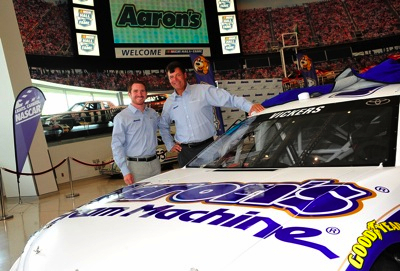 Then there’s also that revelation that Harry Scott Jr. is the new owner of Phoenix Racing and Nationwide regular Justin Allgaier driving the car for three races before the end of 2013. 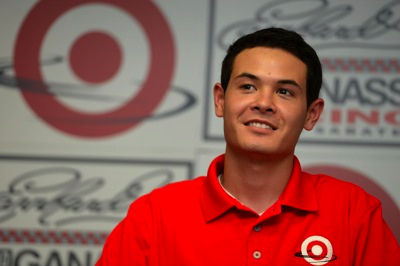 And, oh yeah, I almost forgot, Kyle Larson in the No. 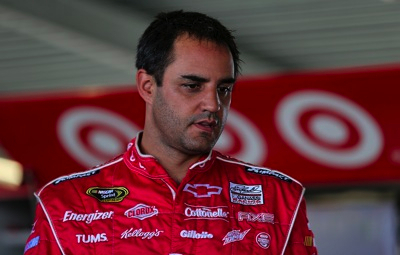 42 at Earnhardt Ganassi Racing, replacing Juan Montoya. 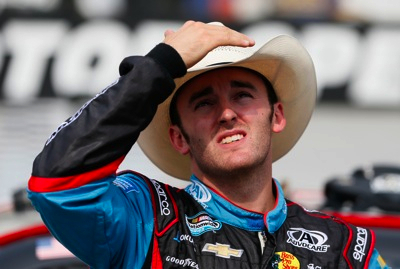 Then there’s that not official but pretty much given move of Austin Dillon up to Sprint Cup to inherit the ride Harvick vacated at Childress that is speculated to go back to its original three number. Have I left anyone out? I probably have, and I’ll think of them after this blog is posted. At least that’s usually what happens. Let’s see. What does that leave us with? There’s the vacant No. 78 over at Furniture Row Racing, and there may also be a slot in the No. 51. It’s my understanding that the ride there may not automatically be Allgaier’s for next year. As far as drivers go, barring drivers other than Larson moving up to Cup, that leaves us with rideless Newman, Bobby Labonte, Mark Martin and Jeff Burton. Originally I figured on Newman going to the No. 78 at Furniture Row, given that I doubted a Richard Childress Racing expansion. Turns out, that organization doesn’t need an expansion to have room for buth Dillon and Newman, given Burton’s departure. Now, I see Newman in the No. 31 as a teammate to Paul Menard (RCR’s one returning driver) and Dillon. So who’s joining the No. 78 team? Maybe Montoya. I pegged Montoya for a return to IndyCar. After all, word had it he was in discussion with a team or two over there. 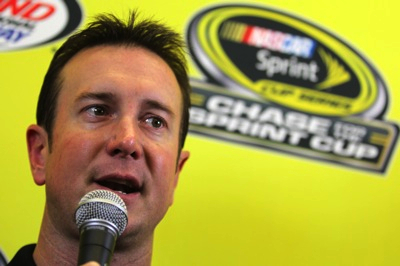 But, come to find out, he’s also been in discussions with Furniture Row Racing in regards to the No. 78 ride. Maybe Montoya’s not leaving NASCAR behind, after all. Okay, that leaves with the No. 51 team now owned by Scott. Looks like he has, maybe, Allgaier, Martin, Burton and Labonte to pick from. Martin hasn’t raced full-time much over the last several years, except for his two years at Hendrick Motorsports, and he doesn’t seem to have any desire to return to a full schedule. In a press conference on Wednesday, Burton said that he was contemplating cutting back to part-time after 2014, but that the mutual decision between himself and Richard Childress may have moved that cut-back up a year. Then there’s Labonte and Allgaier. Maybe an combination of these four drivers could share that ride. Granted it was with a different owner, but Phoenix Racing has utilized a multi-driver lineup the last several years. Looks alike any one or more of these drivers may end up behind the wheel of an also-ran if he hopes to run a full Sprint Cup schedule. 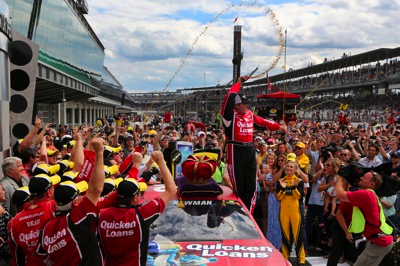 I’d kind of like to see Allgaier race Sprint Cup part-time next year, while maintaining a full Nationwide schedule. Maybe he could share the No. 51 seat with either Martin or Burton. Just a thought.